How many of you know someone who has been married more than four times? More than six? More than seven? Okay. 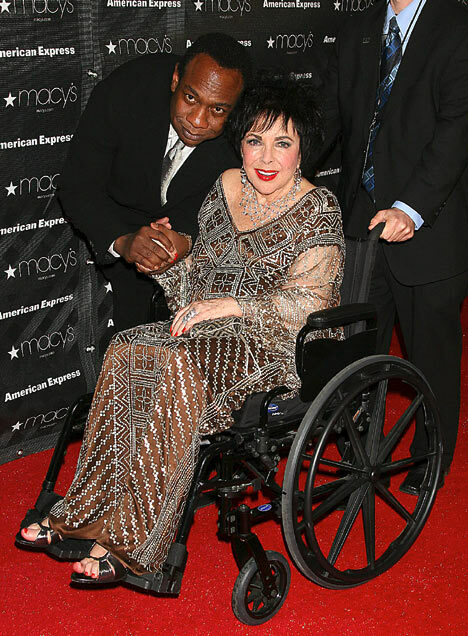 Now that we’re all thinking of Elizabeth Taylor, I’m going to talk about her. This lady must just have that certain something that the rest of us lack that makes her an irresistable marriage partner. She must like… I don’t know… Bake cupcakes in her sleep and make happiness out of dust bunnies. She is engaged. Again. Elizabeth Taylor is planning on adding a ninth husband to her list. 49 year old Jason Winters is the 78 year old legendary actresses newest beau. I don’t really know what to say about this… the 27 year age difference makes me wonder about this guy… I guess she is Elizabeth Taylor though, and it’s not like he’s hurting for money. He’s the attorney representing Michael Jackson’s estate. I hope she lives out the rest of her life with this guy. Really. Because she’s getting to the place where it would be nice to have someone the age of your children to take care of you. Well anyway, Elizabeth Taylor is engaged. I bet that’s something y’all just aren’t surprised about. Get it girl.